Your favorite side dish now has its own festival. Enjoy multiple creations — all made with french fries at this outdoor event in Downtown Phoenix's Hance Park. Some of the city's best restaurants and food trucks will be putting their own spin on fried potatoes while local bands play live. The best chefs of central Texas will gather in Austin for three straight days of tastings and demonstrations. The action unfolds in Auditorium Shores, a scenic outdoor area within Town Lake Park. 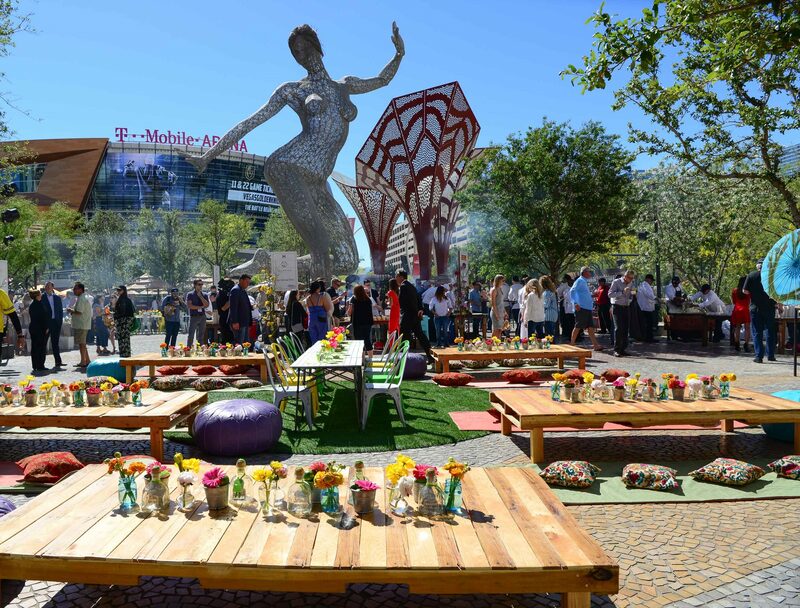 Highlights include Feast Under the Stars (a five-course meal by five chefs), Grillin' and Chillin' (featuring food cooked over an open-flame) and Rock Your Taco (with unique twists on Mexican street food). Need an excuse to visit the scenic San Diego area? This outdoor festival in historic Vista Village features samples from more than 50 breweries to showcase the local craft beer scene. San Diego's finest eateries will provide the food. The name says it all. This food festival near Raleigh has been running strong since 1985, serving up country ham biscuits, sweet potato fries, funnel cakes and more. The event offers a touch of southern comfort with carnival rides, music on three stages and the always popular pig races. This annual culinary event brings together Gordon Ramsay, Guy Savoy, Nobu Matsuhisa and other big-name celebrity chefs for four days of dinners, demonstrations and tastings in Sin City. For a little bit of everything in one place, attend the grand tasting poolside at Caesars Palace. If you love clam chowder, this is the event for you. Pros and amateurs spend months getting their recipes just right for this high-stakes competition. Although creamy New England style is the hometown favorite, you'll see tomato-based Manhattan clam chowder as well. Block Island, about 13 miles south of the mainland, is typically accessible by ferry, but also has a small airport for private jets. It's a scenic destination known for its beaches and lighthouses. As you can see, there is no shortage of world class culinary festivals to enjoy this spring. Choose your favorites and get there in style by booking a private jet charter with Cirrus Aviation Services. Call 702-472-9714 to make a reservation today.